N AT (National AIDS Trust) is delighted by the judgment passed down in the High Court today that NHS England acted unlawfully in withdrawing PrEP, a game-changing drug preventing transmission of HIV, from its decision-making process. When, after 18 months of preparation, NHS England suddenly abandoned its work on PrEP, NAT considered it had no option but to challenge this through judicial review. Today the court heard that NHS England’s interpretation of the law was incorrect. 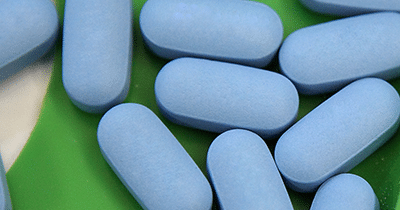 PrEP is urgently needed and has been shown to be cost-effective. NAT has always believed that there is no legal impediment to PrEP being commissioned by NHS England and the court agrees. “This is fantastic news. It is vindication for the many people who were let down when NHS England absolved itself of responsibility for PrEP. The judgment has confirmed our view – that it is perfectly lawful for NHS England to commission PrEP. Now NHS England must do just that. He goes on to conclude that in all the possible scenarios that were explored in the judicial review, NHS England does have the power to commission PrEP. It is enormously disappointing that NHS England has decided to appeal this judgment, especially given the wide ranging and well-reasoned arguments it contains. The appeal will further delay clarity in this area, and mean that any potential commissioning of PrEP will not take place for months. Following this decision, there will now be a 30-day public consultation on PrEP, which should start almost immediately, and an NHS England committee will consider the case for commissioning it, but final announcements and actual commissioning will be contingent on the outcome of the appeal. The UK’s biggest seaside party returns this Saturday!